The pre-dawn attack destroyed terror pads in Balakot, Chakoti and Muzaffarabad, as well as Alpha-3 control rooms of Jaish, according to army sources. Indian air force fighters have struck terror camps across the Line of Control (LoC), multiple media reports have said. The strike was carried out around 3:30 in the morning on Tuesday, two weeks after Pakistan-supported terrorists bombed a CRPF convoy in Pulwama in Jammu and Kashmir, killing 40 soldiers. "At 0330 hours on 26th February, a group of Mirage 2000 Indian Fighter jets struck a major terrorist camp across the LoC and completely destroyed it", reported ANI. 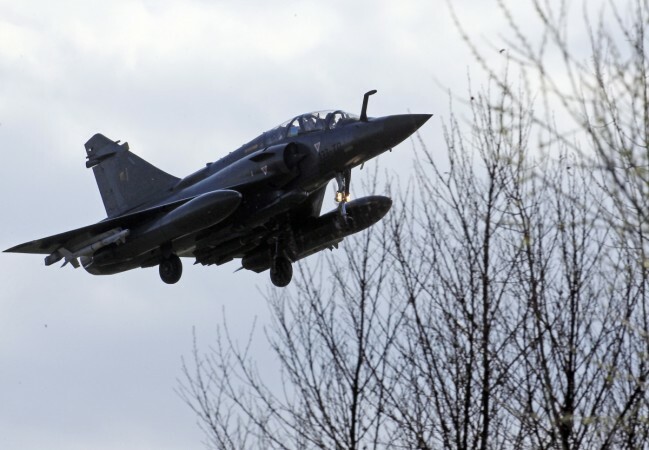 The reports further stated that 12 Mirage 2000 jets took part in the operation that dropped nearly thousand-kilogram laser-guided bombs across the LoC. "Pakistani F16s were scrambled to retaliate against IAF Mirage 2000s but turned back due to the size of Indian formation. Western Air Command coordinated operation", added the report. The pre-dawn attack destroyed terror pads in Balakot, Chakoti and Muzaffarabad, as well as Alpha-3 control rooms of Jaish-e-Mohammad terror outfit, the Times of India reported, citing Indian army sources. The air strike was carried out in 21 minutes. Nearly 200-300 terrorists are reported to be dead, as per the media reports. One of the targets destroyed by the IAF jets was in Khyber Pakhtunkhwa area in Pakistan, the attack was conducted on these grounds based on the locations provided by on ground intelligence sources. The Indian Defence systems are on high alert after the air strike. Pakistan armed forces spokesperson Major General Asif Ghafoor claimed that IAF violated the LoC. "Indian aircrafts intruded from Muzaffarabad sector. Facing timely and effective response from Pakistan Air Force released payload in haste while escaping which fell near Balakot. No casualties or damage." he tweeted. Prime Minister Narendra Modi is meeting with top ministers in the cabinet committee on security at his Delhi residence for a briefing on the air strikes at Pakistan based terror camps. External Affairs Minister Sushma Swaraj, Defence Minister Nirmala Sitharaman, Union Home Minister Rajnath Singh, Finance Minister Arun Jaitley, National Security Advisor Ajit Doval and other top officials of the government are attending the meeting. The Indian National Congress (INC) president Rahul Gandhi tweeted over the IAF aerial attack in LoC, " I salute the pilots of the IAF", he tweeted. The Indian Air Force has not yet responded to the claims.